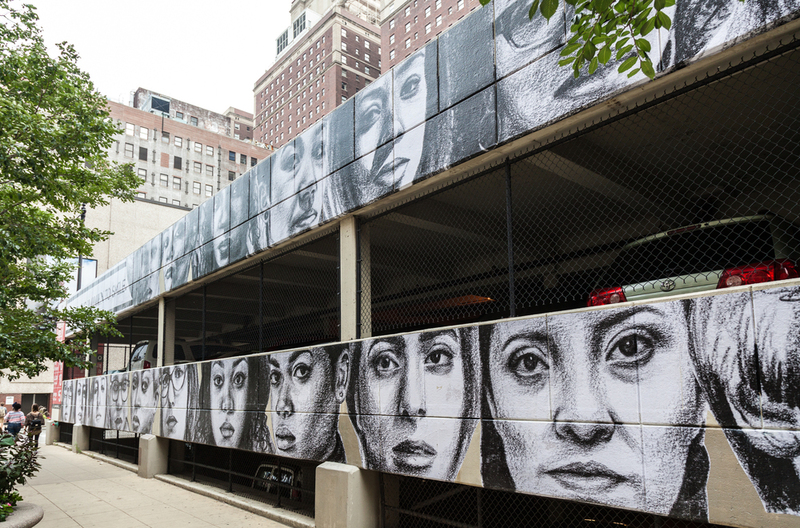 In the summer of 2015, I invited Brooklyn-based artist Tatyana Fazlalizadeh to produce a new Stop Telling Women to Smile mural for the Wabash Arts Corridor. 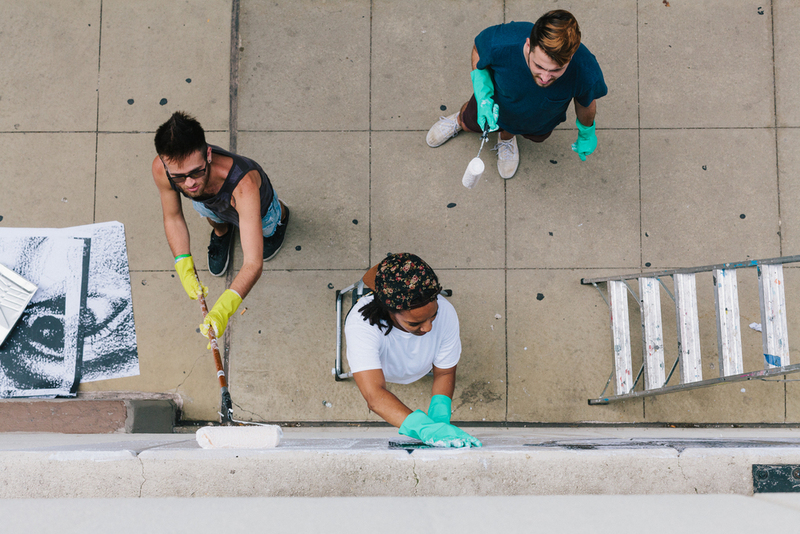 While in residence at Columbia College, she met with students, neighbors and community members to discuss their experiences with street harassment. 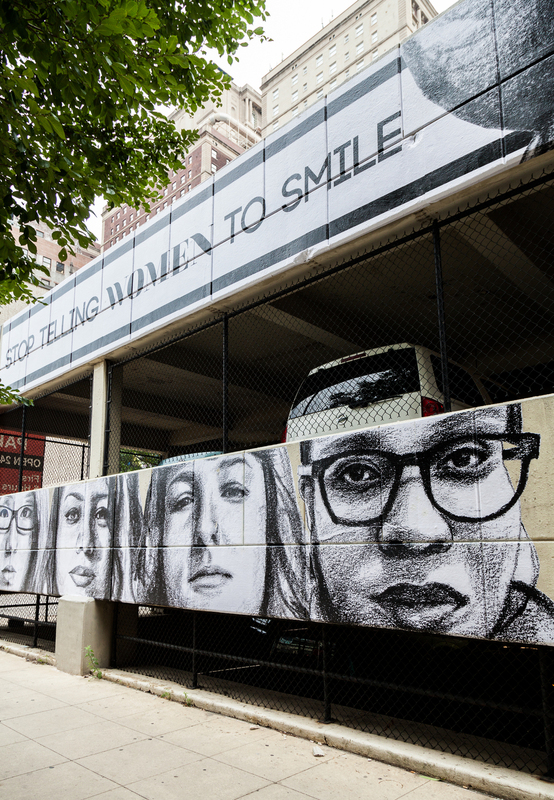 She drew portraits of the participants and produced her largest mural to date - nearly 1,200 square feet - in her Stop Telling Women to Smile series. While in Chicago, Fazlalizadeh also collaborated with artist/architect Amanda Williams on an installation for the Vacancy exhibition at the Glass Curtain Gallery. This mural has received more press coverage and critical acclaim than any other work in the Wabash Arts Corridor. Many of the articles can be found here (click).